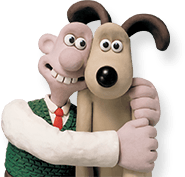 It’s been a while since we had a new animation tips video for you so if you’re looking for some new skills to add to your repertoire, don’t miss this tutorial from Aardman animator Steve Edge! In this video you’ll learn a really nifty new skill – how to make Morph transform from a brown lump of clay into the fully-formed figure we know and love. It’s a really cool technique that you can use to add some real magic to your animations and you can try it with any character you like. But to begin with, give it a go with Morph – all you need is the Animate It software, some plasticine, a Morph mould to help you make your model and a table to place your plasticine shapes on. Follow Steve’s guide to see how you can make your blobs of plasticine magically transform into Morph. When you’ve perfected your technique enter it into our new Animate It! competition to win a Morph goodie bag. Have fun Morphing!